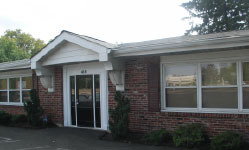 For no cost or obligation, we will meet with you briefly at our office face to face. We will determine whether there is enough information to prepare a comprehensive proposal for our services. If not, we will be pleased to either do hourly consulting to help you determine what is needed, or do a feasibility study to look at different options you have and establish the project parameters. For an hourly rate, we will meet with you at our office or your location to review your ideas and evaluate some basic alternatives. For a modest investment, you will get a profesisonal look at your situation and advice on how best to proceed. You will also see us in action and be able to determine whether or not we are a good match for each other. PAYMENT IS DUE AT THE TIME OF SERVICE. Schematic Design, Preliminary Design, Construction Documents, and Construction Administration represent normal services. We include consultants for Structural, Mechanical, and Electrical Engineering. When needed, we also employ sound, acoustical, kitchen, graphic, and other specialists. Typically, due to insurance concerns, civil engineering and site investigation services are contracted directly with the owner by those allied professionals, and we coordinate our work with theirs. A PAYMENT SCHEDULE WILL BE INCLUDED IN OUR PROPOSAL. Advance payments are required for all contracts. No work is accepted on a contingent basis. Since we are extending credit to those not paying 100% in advance, evidence of financial responsibility and/or a credit check may be required. We offer a discount from 3 to 5% depending on project size for clients wanting the lowest fee and being willing to pay all-in-advance. We began offering this on request and found quite a few clients preferred this approach. Our contracts require that payments be made on schedule in order for work to continue. We will only work on projects where permits are obtained and where the contractors to be used are properly licensed and qualified to do the work. We pledge to use the highest standards of ethics and fairness to all parties. John Teets is a member of SARA, the Society of American Registered Architects, whose Code of Ethics is simply but profoundly The Golden Rule - "Do unto others as you would have them do unto you."